The Old Port of Montreal is a magical place. A true urban park in the heart of the city, it extends over two kilometres along the water. As the 2nd most visited site in Canada, the Vieux-Port welcomes more than 7 million people every year thanks to its port of call and its numerous tourist activities such as an adventure park, a labyrinth, a zip line , cruise ships and much more. 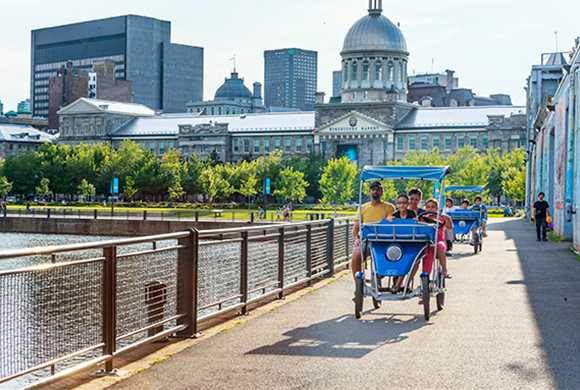 Discover this popular site from a new angle and take a tour of the Old Port of Montreal in Quadricycle or Pedalo to admire the most beautiful views of the City of Montreal. Every summer, from early May to early October, our business season coincides with the high season of the Old Port of Montreal. * Taxes not included in the price. ** ID card required for the whole renting time. 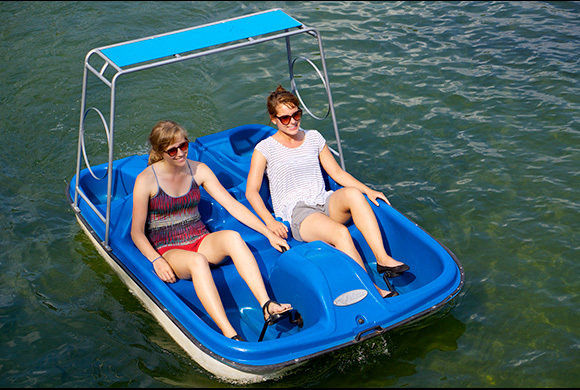 COMBINE AND SAVE: Add +$15 for 30 minutes of pedal boats 2 seats. COMBINE AND SAVE: Add +$15 for 30 minutes of quadricycle 3 seats. Add +$30 for 30 minutes of quadricycle 6 seats.